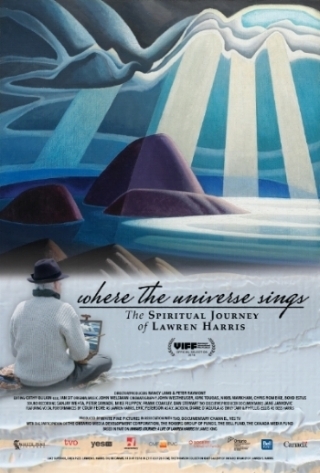 Composer John Welsman has received a 2018 Canadian Screen Awards Nomination for Best Original Music for a Non-Fiction Program or Series for his score for Peter Raymont and Nancy Lang's feature documentary Where the Universe Sings – The Spiritual Journey of Lawren Harris, from White Pine Pictures. Welsman says: This film is a definitive documentary on an amazing artist, and composing for it was both a joy and a challenge for me. The score is based on a series of upwardly moving scales, continually rising as they make their way to a higher place, mirroring in a sense Harris’ own spiritual journey. Here’s a selection from the score called Ice Flows. This piece features the theremin, an instrument I chose as one of the main voices in the score’s palette for its other-worldy electronic vibrato and spiritual connotation. John Welsman received the award for Best Original Music for a Non-Fiction Program or Series at the 2015 Canadian Screen Awards, this time for his score for Tales From the Organ Trade, from Associated Producers. The film and director Ric Esther Bienstock also received the awards for Best Writing and Best Editorial Research, and was given the Donald Brittain Award for Best Social/Political Documentary Program. Available now on iTunes and Netflix. Composer John Welsman has received a 2014 Canadian Screen Awards Nomination for Best Original Music for a Non-Fiction Program or Series for his score for West Wind: The Vision of Tom Thompson, directed by Michèle Hozer and Peter Raymont (White Pine Pictures). 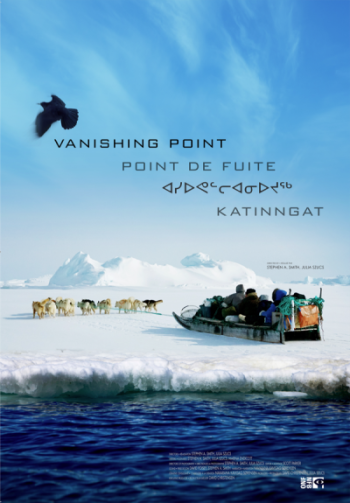 John says, "This was a career highlight for me – to compose music for the story of Tom Thompson’s life. It’s a beautiful film, and I feel honoured to have been a part of it." Hue: A Matter of Colour, the latest documentary from acclaimed Canadian filmmaker Vic Sarin, with score by John Welsman, will have it's world premiere on Sept. 28, 2013 at the Vancouver International Film Festival. Giant steps have been taken world-wide to eliminate racism, yet an ancient and widespread form of discrimination called colourism -- when people from one race discriminate against others of that race based on their skin tone -- has been largely ignored. Hue, a personal point-of-view documentary, brings us face to face with the effects of this insidious form of intolerance. John Welsman has recently completed the score for Jamaican director Mary Wells' dramatic feature Kingston Paradise, which will have its world premiere at CaribbeanTales Film Festival on Sept. 13Th. Shot in Kingston, Jamaica, it's an offbeat and compelling story of poverty and a couple's hopes and dreams for a better life. The dramatic short Momsters Playground, written and directed by Stephen Roscoe, and produced by Peter Gentile for MDF Productions will have its world premiere at Festival des Films du Monde in Montreal this Sunday Aug. 25th. Civility and decorum are thrown to the wind when two trophy moms compete to prove that "my child is better than yours". With a score by John Welsman that's a modern day homage to the Warner Bros. cartoon era, Momsters is a cringingly funny (that's a new category) film. It will have a second screening on August 31st. Ric Bienstock's Tales From the Organ Trade has won the Best Sign of the Times award at New Zealand's Documentary Edge Festival 2013. It has also received two nominations for awards at Milano International Film Festival 2013: Best Documentary, and Best Music/Song for John Welsman's score. The film investigates the black market in organ trafficking and ultimately leaves the viewer with the question: should people be allowed to sell their organs? Tales From the Organ Trade has its North American premiere Sunday April 28th at Hot Docs 2013 in Toronto. Tales From The Organ Trade, a feature documentary by award winning director Ric Esther Bienstock, narrated by David Cronenberg, and scored by John Welsman, will have its North American premiere at Hot Docs in Toronto on April 28, 2013. Hot on the heels of the film’s successful Ontario premiere at TIFF Bell Lightbox at ‘Planet In Focus’ on October 12, 2012, the NFB feature documentary ‘Vanishing Point’, directed and produced by filmmakers Stephen A. Smith and Julia Szucs, is scheduled to open the ‘Banff Mountain Film and Book Festival’ on October 27, 2012. The film’s score, by John Welsman, features two rare instruments played by Mark Korven - the sarello and nyckelharpa. John reflects: “While researching instruments that might help convey the cold, austere ‘other worldly’ aspect of the far north, I chose the Sarello, which is a cross between a cello and a North Indian sarangi, built by luthier Tony Duggan-Smith and designed by Tony and Mark. It’s a one-of-a-kind instrument that sounds quite unlike any other on the planet. Its set of sympathetic vibrating strings under the main three strings give it an indescribable sound.” On a number of themes, Korven played the Swedish nyckelharpa, which has been likened to a ‘bowed hurdy-gurdy’. Here's a link to the website for the film.